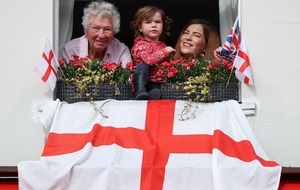 The North Yorkshire club will hope to play some tasty football too. 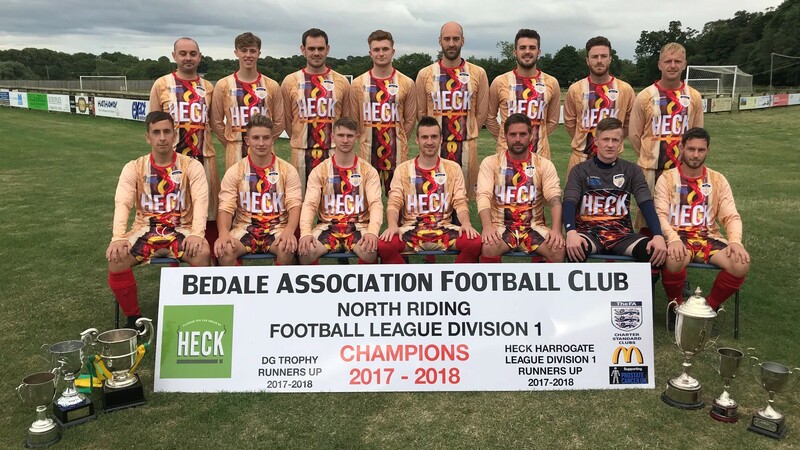 If Bedale AFC’s fans aren’t drooling over their team’s football next season, they might well be drooling over their shirts. 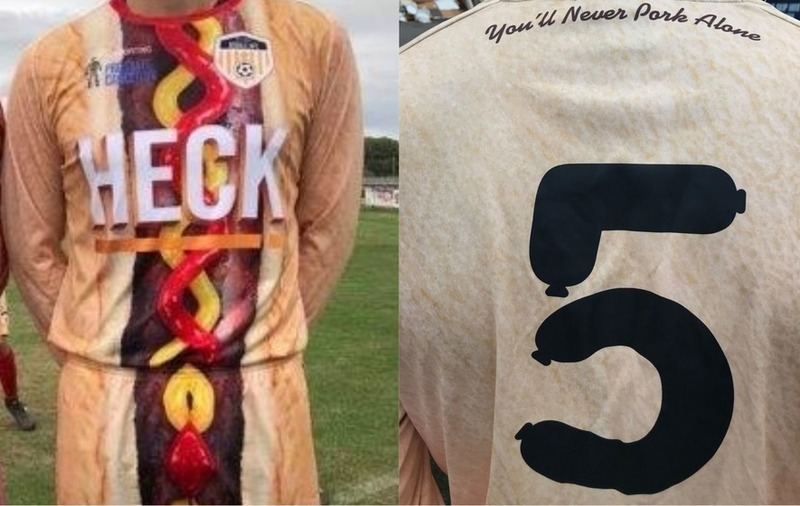 That’s because the North Yorkshire side, who won the 2017/18 North Riding Football League division one title, have gone all out in creating a kit for the 2018/19 season that makes them look just like hot dogs. 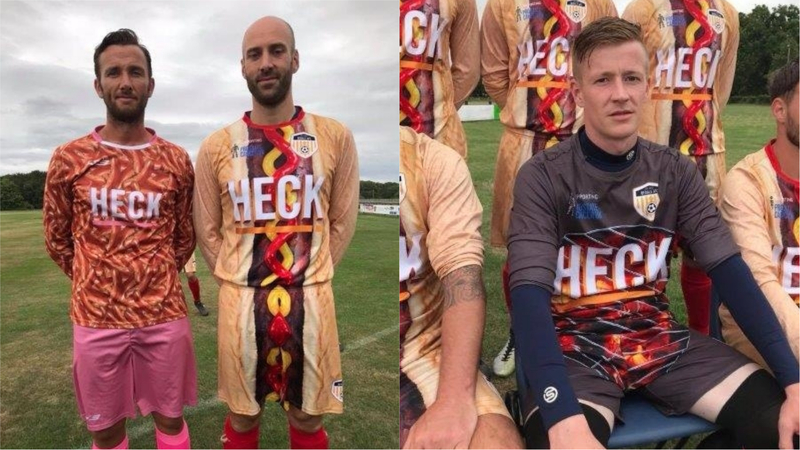 The kit features everything you’d expect to see in a hot dog, from the bun to the sausage, as well as a double helix of mustard and ketchup down the middle, alongside the club crest and the Prostate Cancer logo, a cause close to the team’s heart. 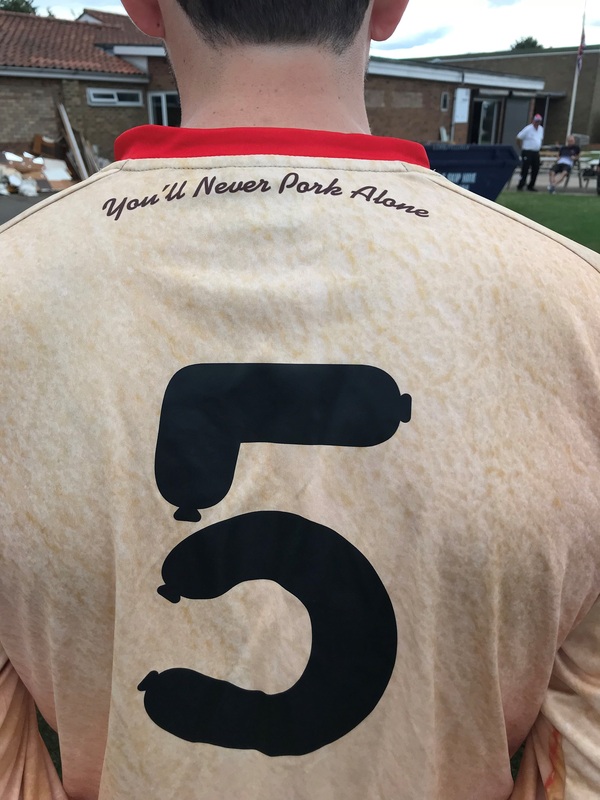 Meanwhile the back of the shirt features numbers in the shape of sausages as well as the phrase “You’ll never pork alone”. 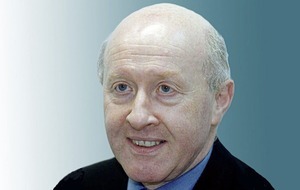 The team are sponsored by HECK Food, which goes some way to explaining the unique kit design, and it’s not the first time the team have done something like this. The 2017/18 kit also had a sausage theme and was voted the seventh worst in the world according to an online survey, earning the club international fame. 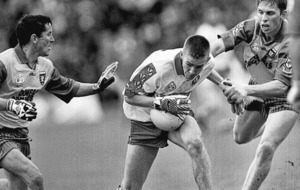 This year those involved hope the kit will rank even higher, aiming for a top three finish in the world’s worst kit stakes. Here’s hoping the team score a few bangers this season, as well as securing the wurst kit of the year.